Regular puzzles, Sudokus, and more. Please see the About the Blog page for details. So just a quick update for those of you who haven’t seen it yet – My second contest in two weeks at Logic Masters India. Last weekend it was Parallel Universe, the Sudoku Contest. This weekend its Parallel Universe II – Inversion Invasion, the Puzzle Contest. You can participate anytime within the next 40 hours (ends at 4/29/2014 5:29:59 AM local time | 4/28/2014 11:59:59 PM GMT). Btw, the other Universe’s Prasanna prepared some PracticeFromTheirPSv1 (These are the same as the ones on LMI). He told me they are prepared in a rush so he didn’t have time to work up almost-symmetry in a lot of them. Even so, I think they’re good for practice of the newer types. Update – Thanks to Bram for pointing out that the Diayajilin actually works without the added arrows. So in order, the below puzzles are – Diayajilin(2), Disposition(with Fleet), Diversion, Diversion without Borders, Division(with Fleet), Dioxides(with 21 Os atoms, though I don’t see how that affects the solve anyway). All rules taken from the IB here. Unlike my usual style, all rules are below the respective puzzles. Diayajilin – Blacken some cells so that you can draw a single closed loop through all remaining white cells. Black cells cannot be adjacent to each other. The loop cannot touch or cross itself. 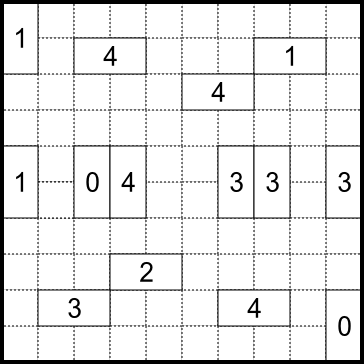 Each number in the grid shows how many black cells can be seen in the direction of the arrow. Numbered cells cannot be blackened. Addendum – A loop segment is given in one of them. 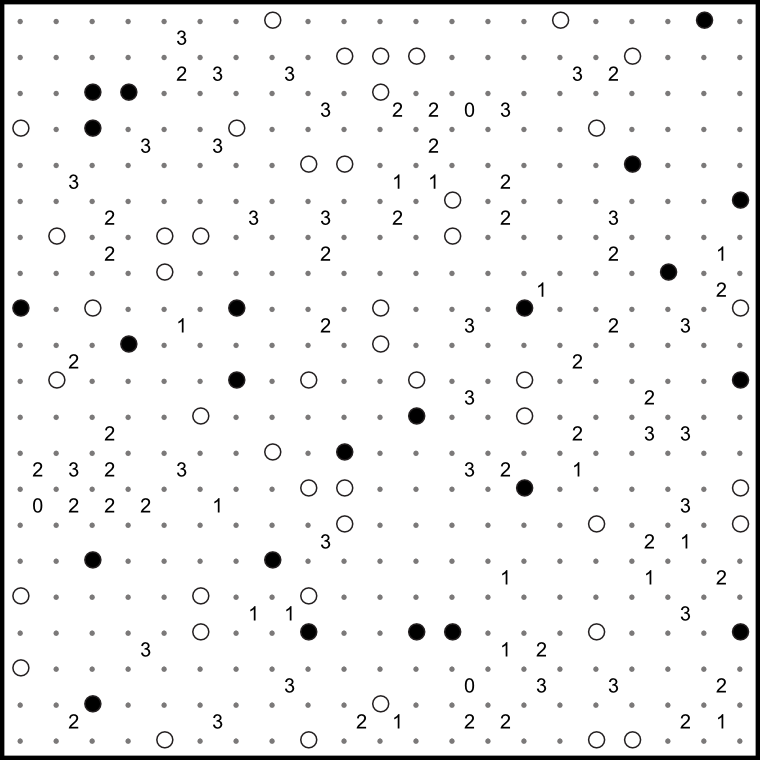 Also, clues pointing in two directions indicate that many number of black cells for each of the directions, and not the sum of them. 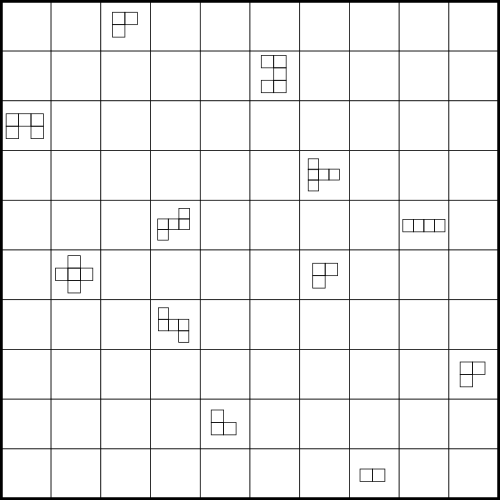 Disposition – Place the given fleet following the grid lines. Ships cannot touch each other even diagonally and cannot occupy cells with digits. 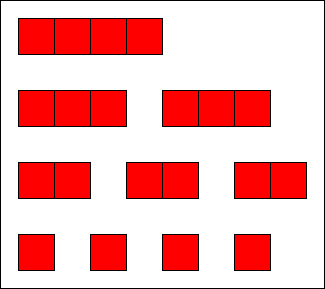 Each number in the grid shows how many ships (Rectangles or Squares) are located in the horizontally, vertically and diagonally adjacent cells. Addendum – “?” is a digit not given to you, so it basically just means that there’s no ship segment on that cell. 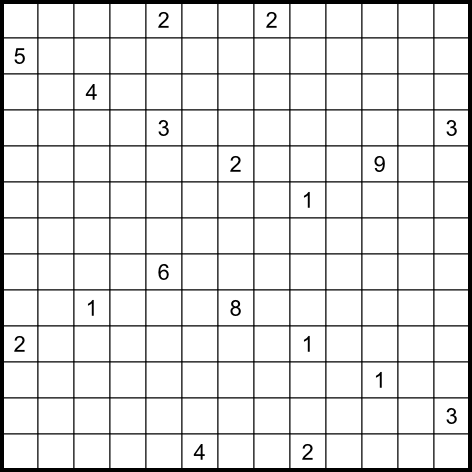 Diversion – Each number in the grid shows how many mines are located in the horizontally, vertically and diagonally adjacent empty cells. The object is to reveal all the mines in the grid, providing that a cell can contain only 1 mine. Mines cannot occupy cells with digits. 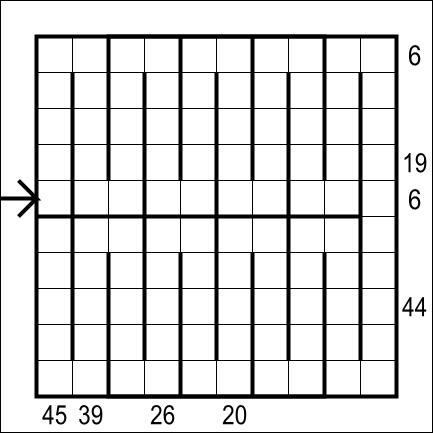 Diversion without Borders – Cut the grid into 1×2 rectangles. 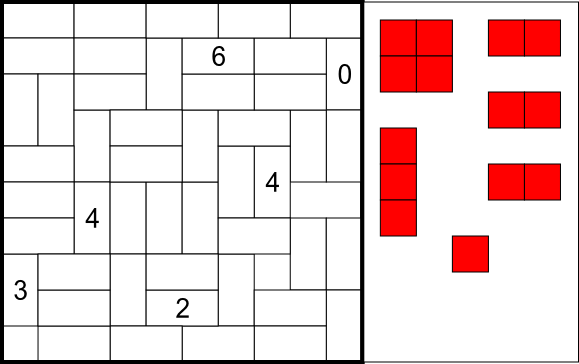 Each number in the grid shows how many mines are located in the horizontally, vertically and diagonally adjacent empty cells. The object is to reveal all mines providing that a 1×2 rectangle can contain only 1 mine. Mines cannot occupy cells with digits. 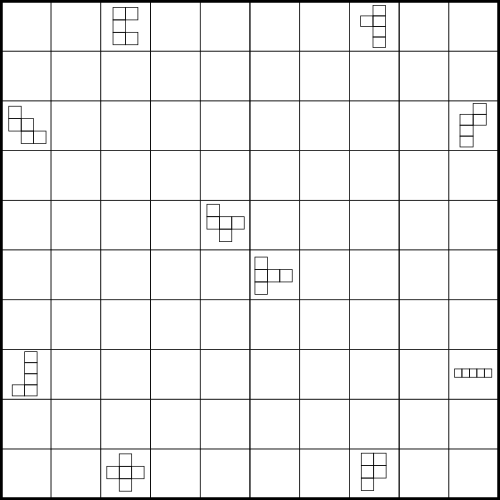 Division – Place the given fleet and 20 mines into the grid. A cell can contain only 1 mine. Each number shows how many parts of ships OR how many mines are located in the horizontally, vertically and diagonally adjacent empty cells. Mines and ships cannot occupy digits. Ships cannot touch each other and cells with mines, not even diagonally. 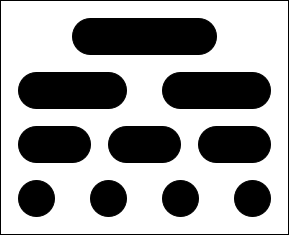 Dioxides – Place letter “s” in 21 cells with letter “O”. Cells with Os(Osmium atom) cannot touch each other, not even diagonally. These, along with 2 other oxygen atoms O, will form 21 Osmium dioxides with either a 180 degree turn at the Os atom, or a 90 degree turn. i.e. atoms can’t be connected diagonally. Addendum – Test puzzle will have 27 wherever 21 is above. Right. The first one of these is pretty easy. I just did it to familiarize myself. The 2nd one, I decided to experiment with the layout a little, as the various features of the variant can still be explored with different layouts as long as the numbers have a path to follow. So here they are. I’ve given the fleet below which is common for both puzzles. Of course, the labeling of the fleet shall be determined over the course of the solve, as the rules show. 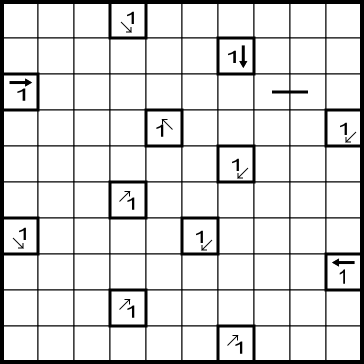 1.Locate the given fleet in the grid. The ships cannot touch each other, not even diagonally. 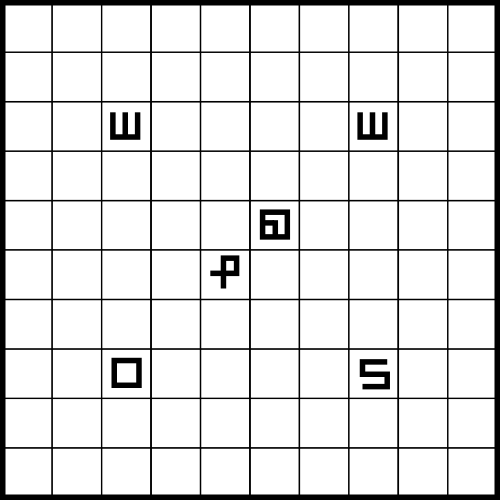 2.Clues outside the grid indicate the sum of ship segments in the corresponding directions. 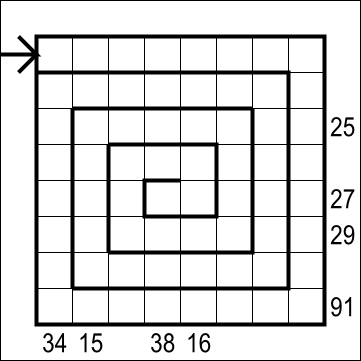 3.Ship segments are numbered from 1 to 20, starting from the entrance of the spiral and moving towards the center. Rated Easy and Medium respectively. The rules of this are the same as the one I quite vaguely called Yajilin-Nurikabe something some posts back. I had no idea this type existed before, and my excuse for this is the re-iteration that I’m still young and inexperienced in the world of puzzles. I first thought that this type was different from that earlier one I did as I thought the islands can’t touch each other diagonally. A whole lot of confusion and a big thanks to Para for test solving and now here we are. 1.Create some areas, surrounded with cells which are linked to a continuous loop. 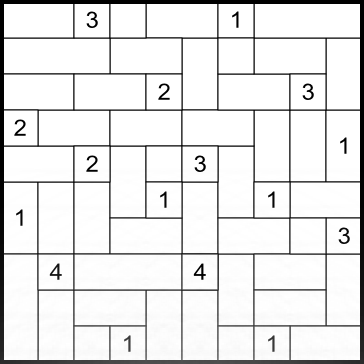 2.The numbers in the grid indicate the size of the corresponding white areas. 3.An area cannot contain more than one number. 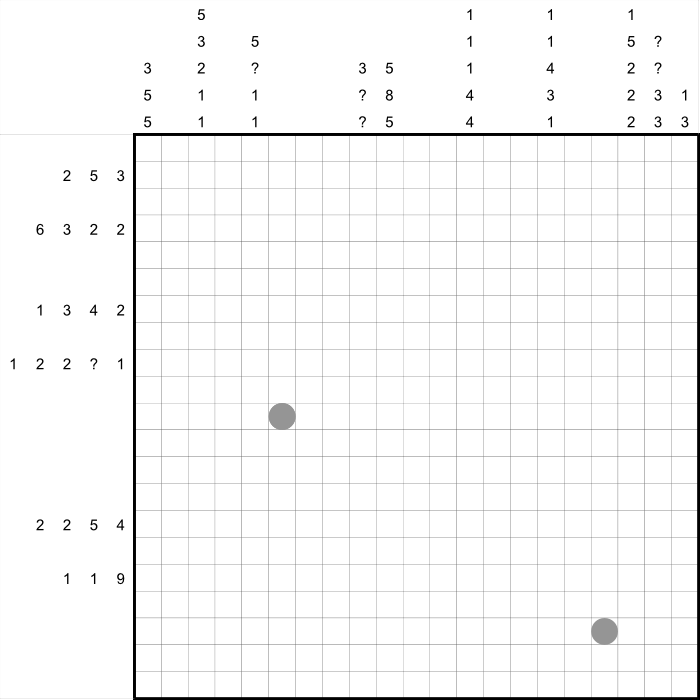 4.White areas may touch each other only diagonally. Right, so I finally got the No Numbers Loop working, I think. After taking 2-3 opinions, I do believe its fine, but to be completely honest you can never be sure of this type. I like all the other innovative rules, but I find this one a bit tiresome. The puzzle idea is great, and would probably be fun, but 10 different numbers with different orientations gives 70+ patterns to keep track of which is just way too much IMO. You can always end up missing a number in some small area. But, I’m as sure as one can be that this one’s fine. Should do for practice anyway. The second puzzle is another “It’s Yours”. I just thought the first one was a bit too easy. Not that this one’s overly difficult, but I suppose it’d make you think a little bit more than the previous one. Puzzle No. 163 : No Numbers Loop. Rules – Draw a closed loop in the grid. The loop can cross itself but otherwise never visits any point twice. in any two adjacent squares, the line segments of the loop cannot form a number in ANY orientation, i.e., even with rotation and reflection. Numbers outside the grid show the number of crossings made by the loop that exist in that direction. Some parts of the loop are already drawn, and the loop can’t go through places marked with ‘X’. 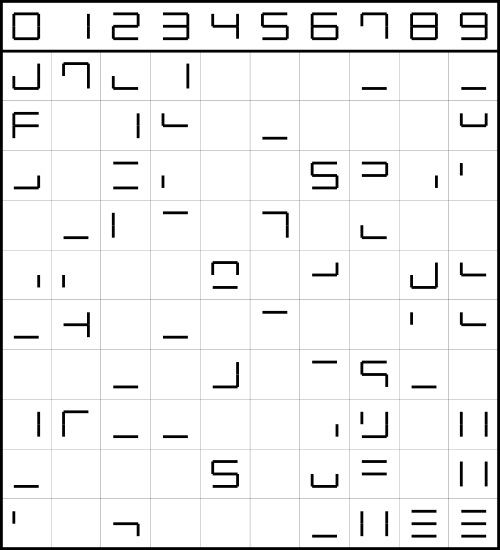 The numbers in their natural orientations are listed above the grid. Puzzle No. 164 : It’s Yours. 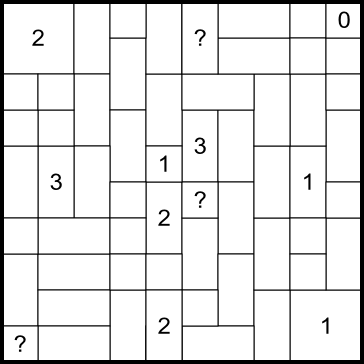 Rules – Put some pairs of Polyminos in the grid such that every polymino has one clue inside it. The clue in one polymino shows the exact shape without rotation or reflection of the other polymino that forms the pair. The polyminos forming a pair must touch each other orthogonally and cannot touch other pairs of polyminos. Bad bad day for me. Been trying everything to make the No Numbers Loop work, but just haven’t been able to. So I’ll have to settle for uploading just this one for now. Enjoy! Rules : Blacken some cells so that all unblackened cells can be connected Horizontally or vertically. Blackened cells can’t touch each other horizontally or vertically.In each row or column, the figures of unblackened cells can’t form a number (listed above the grid), when all are combined together. Puzzle No. 158-161 : LMI No Numbers Practice Puzzles. Next weekend, LMI holds its first monthly puzzle test since all the way back to the Puzzle Marathon where I authored one puzzle. The Tapa season came in between, and there were 3 Sudoku tests as well in this time. So, I’m really looking forward to this one. The Test theme is “No Numbers”, and has some pretty innovative puzzle types. The author is Ko Okamoto. The IB and Submission link for the same can be found here. Right out I’ll say that the main aim in creating these was to make myself understand the types better. But, since I have created them, I thought I’d share them for others too. Just before the IB was up, I had had the idea of something with the exact rules as Trio Cut, and planned to create it as a Norinori variant type. But as it happens, not only was it proven not to be an original idea, it actually appears in an LMI test before I can get to creating it! No worries, I’ve created one here that I’m quite happy with. As such, I was most comfortable creating this one as I have a base in Norinori. Curve Data and Synchronized maze are types I have absolutely no experience with. 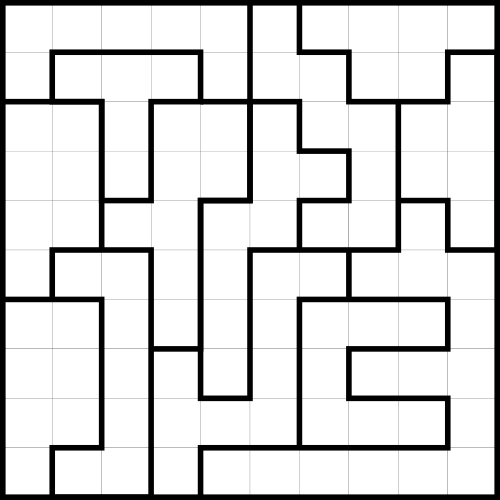 The Curve Data type can surely work with fewer clues, and I bet a lot more can be done with Synchronized Maze. But I at least understand some level of solving for these now, and hopefully it works the same way for others. After all, practice is practice 😛 I must say, I’ve had a mad time getting the Curve Data too work. First Tom C tested it, found a uniqueness issue, then after I fixed, even he thought its fine, and then just as I was about to post I found an issue again! About 6 similar scenarios later(as you can see by the name of the pic once you click on it), with input from Murat, Swaroop, Para, we finally have a good puzzle. I hope. The “It’s Yours” (had to put it in quotes because those are such commonly used words!) worked well, but ended up quite an easy difficulty level. I’m sure that in the test, there will either be larger puzzles, or smaller polyminos. Also, it won’t be as easy to determine the pairs. I liked creating this one though, and may well give it another go tomorrow/day after. I’m not making any guarantees, but I hope to have more practice puzzles up for this test. Hope you enjoy these for now. Rules – Paint some cells to make some triminos so that each trimino will be cut twice by thick lines. Each region bordered by thick lines should have 3 painted cells. Rules – Make some figures by drawing lines through the center of cells so that each figure goes through just one clue. All cells are visited by lines. A clue shows how the line passing through it turns and connects with itself, without any rotation or reflection. However, the clue does not specify length of each straight segment of the line in any way. Puzzle No. 160 : Synchronized Maze. Rules – Connect pairs of same alphabets with continuous lines. Each line should form the same shape, with rotation and reflection if necessary. Lines can’t go through blackened cells. The lines can cross each other but can’t share a path other than that. Puzzle No. 161 : It’s Yours. This is a Graffiti snake puzzle. Paint some cells black to form a wall. 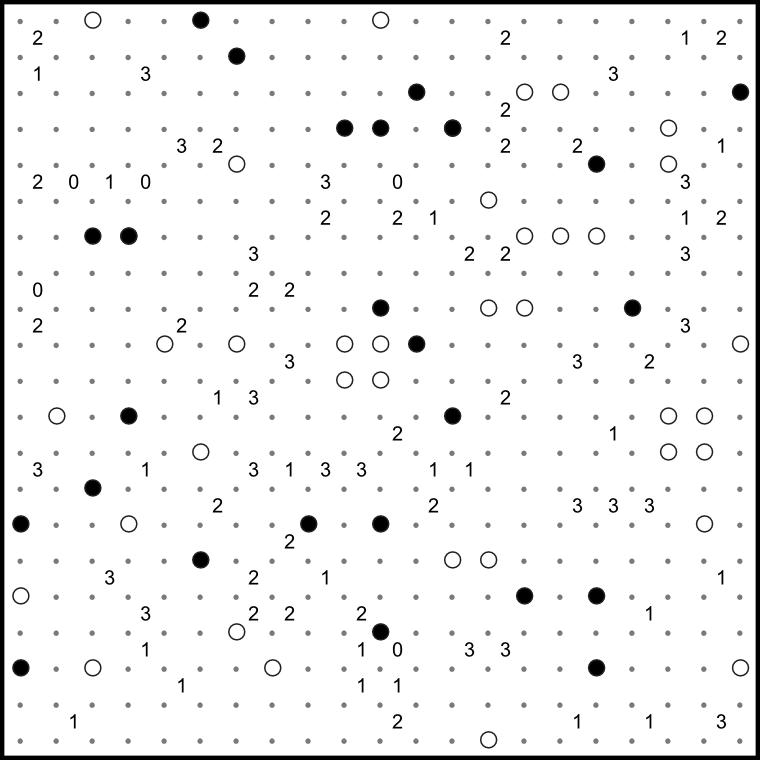 The numbers outside the grid indicate the number of blackened cells in the corresponding direction, in order, as in a Paint by Number puzzle. If there is more than one blackened block in a row or column there has to be a white cell between the blocks. Additionally, a snake must pass through all the remaining white cells, moving horizontally and vertically and not touching itself, not even diagonally. The head and tail of the snake are given as the grey circles. I referred to the IB of Puzzle Marathon for rules. You can see that IB by clicking here. Rating : Hard? For the blog definitely. I don’t really know about LMI test related ratings for this one. Solution and a bit of a tip added(Well, quite a basic one, but I found that many people don’t know it) : Click here. Password : GS. You can refer here for details. 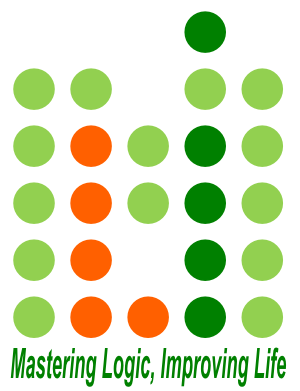 Draw a single closed loop by connecting neighboring dots horizontally or vertically (but not diagonally). 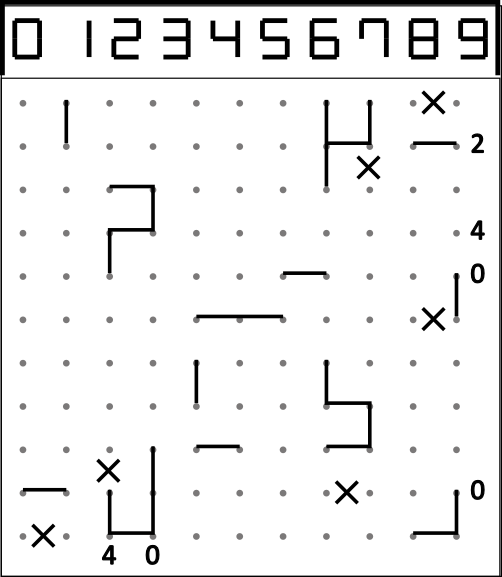 Some numbers appear in the grid as clues; as in a Slitherlink/Fences puzzle, a numbered square indicates exactly how many of its four edges are used by the loop. 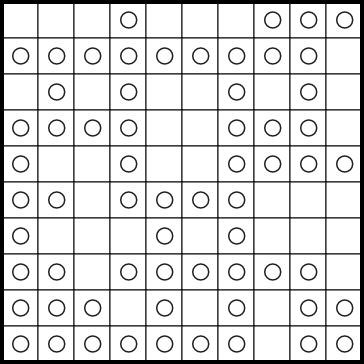 Some circles (either white or black) also appear in the grid as clues; as in a Masyu puzzle, the loop must pass through all of these circles. When passing through a black circle, the path must make a 90 degree turn and extend at least two dots in both directions. When passing through a white circle, the path must go straight and must turn at at least one of the adjacent dots. Rated : Probably Easy-ish by LMI test standards, Medium by this blog’s standards. 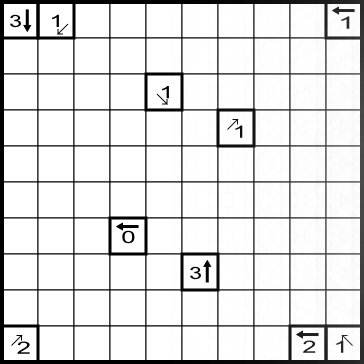 Solution for this and Puzzle 19 added. It has both solutions so only see once you’ve tried both! Password – PP12. Enjoy! All puzzles on this blog are the intellectual property of Prasanna Seshadri and are released under a Creative Commons Attribution-NonCommercial-NoDerivatives 4.0 International License. Any commercial use requires written permission of the owner. Want to support Indian Puzzlers? Please visit Logic Masters India, the Indian Puzzle group, known for organizing the Indian Puzzle and Sudoku Championships and also many International online contests. If you enjoy the content, please visit our Patreon page and become an LMI patron. Want to see more of my Puzzles? Please visit Grandmaster Puzzles, where I work with an elite team of authors to bring you top quality puzzles. If you enjoy the content, please visit our Patreon page and become a GM Puzzles patron. Swaroop's puzzle blog "Get Set Go"